Heartland Alliance's Illinois Poverty Update indicates that millions of people in Illinois are experiencing poverty or are on the cusp. Rooted in inequity, poverty prevents people from meeting basic needs, improving their quality of life, and creates barriers to opportunities including quality education, stable employment, affordable housing and safe neighborhoods. 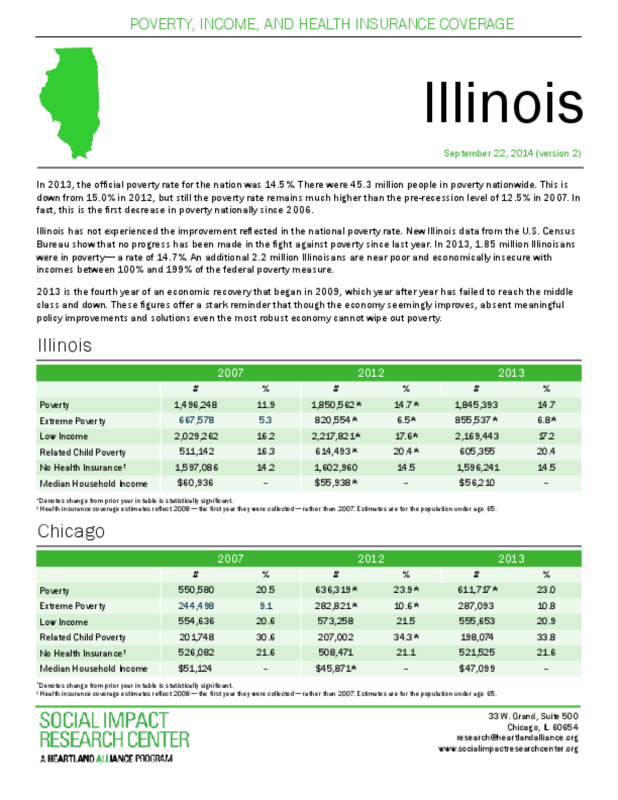 The update sheds light on who is most likely to experience poverty in Illinois: Women, people of color, and children have the highest poverty rates. 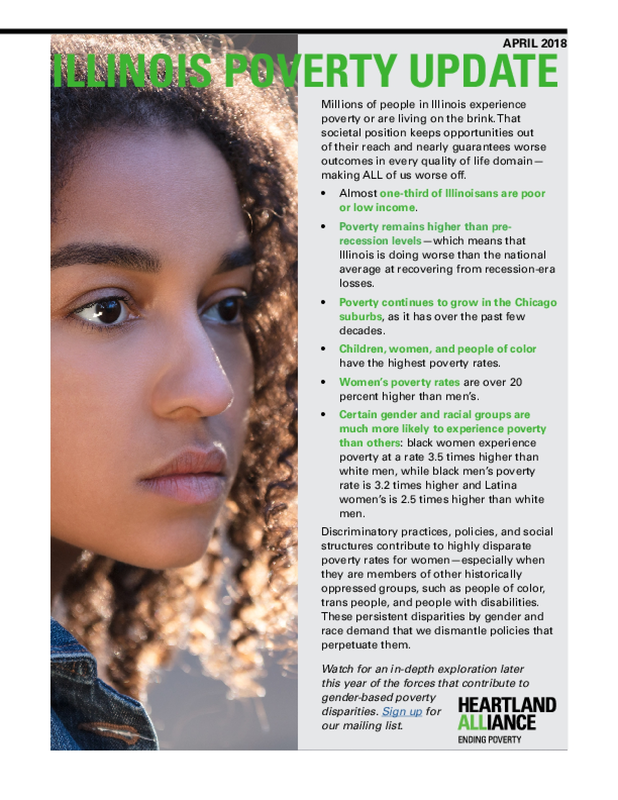 In addition to the Illinois Poverty Update, Heartland Alliance also released state legislative district poverty fact sheets. 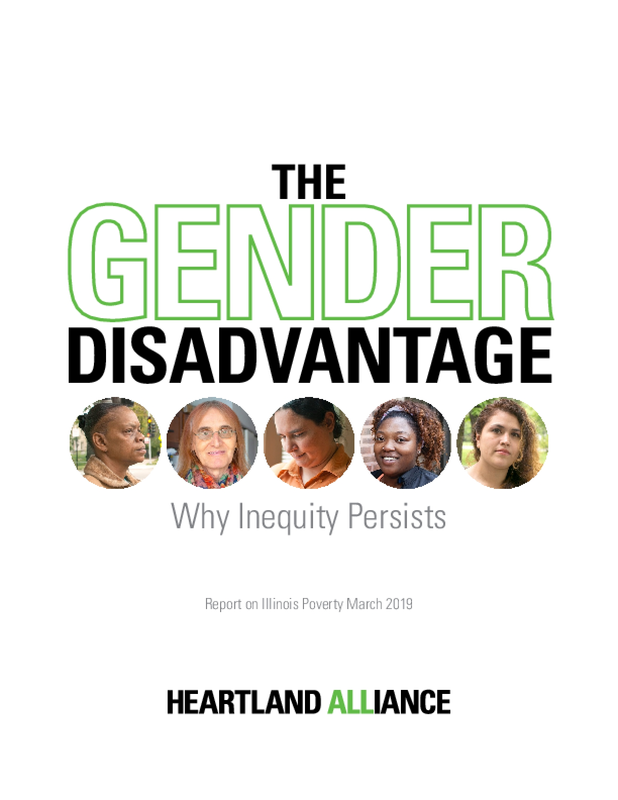 These releases are the first of a series Heartland Alliance is publishing on poverty in Illinois this year. Local- and county-level data books will be published this summer, and an in-depth exploration of the forces that contribute to gender-based poverty inequity will be released in the fall. A college education or vocational training can be a key factor in determining a person's future opportunity. 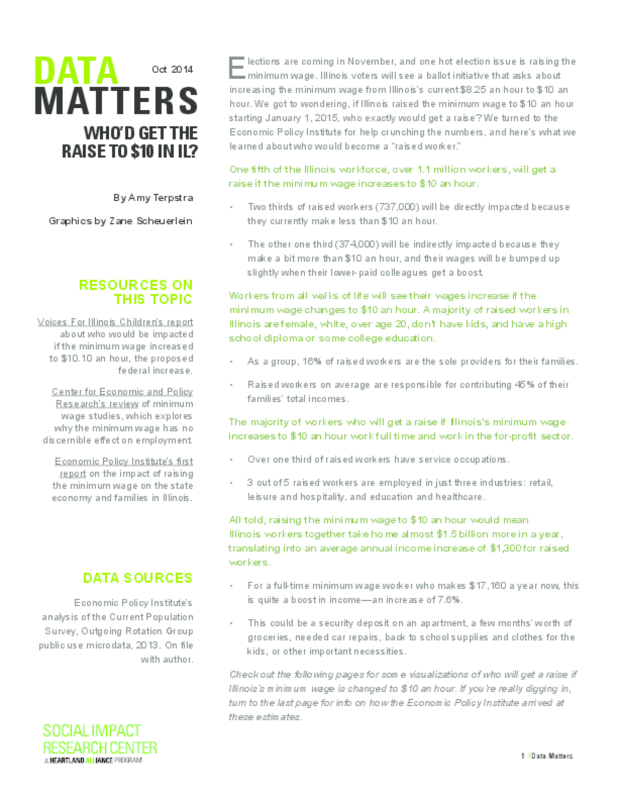 College graduates make more income and are more likely to hold jobs that provide critical wealth building benefits, including retirement savings and healthcare. Unfortunately, access to education is not equal. 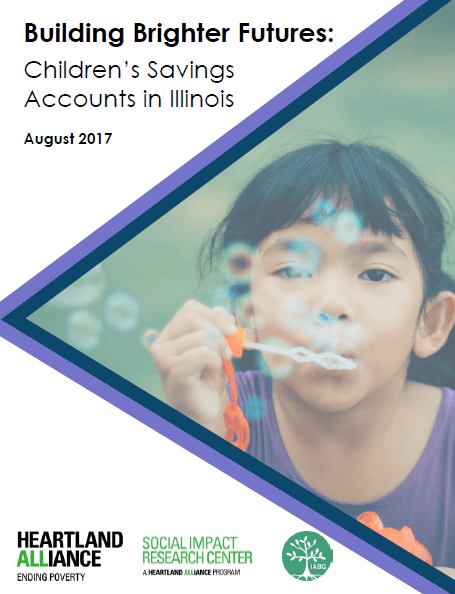 Children's Savings Account (CSA) programs can and should be a key tool in expanding access to college. A CSA is a savings account for a child, opened at birth or at an early developmental stage, and is often intended to be used towards post-secondary education. To be homeless is to live on the streets. Or in a Housing Forward shelter. Or on someone's couch. In Oak Park, more than five percent of our residents live in extreme poverty, making less than $9,000 a year. About 15 percent of our residents are food insecure, meaning they don't know where they will get their next meal. Too many live one missed rent payment from eviction—and homelessness. The homeless are not just on our streets. They are our classmates at school, and our parents and friends from work or church or baseball teams. They are members of our community. In all, about 200 kids in elementary schools and high schools are homeless. They are living with friends or relatives sleeping on couches with no permanence. 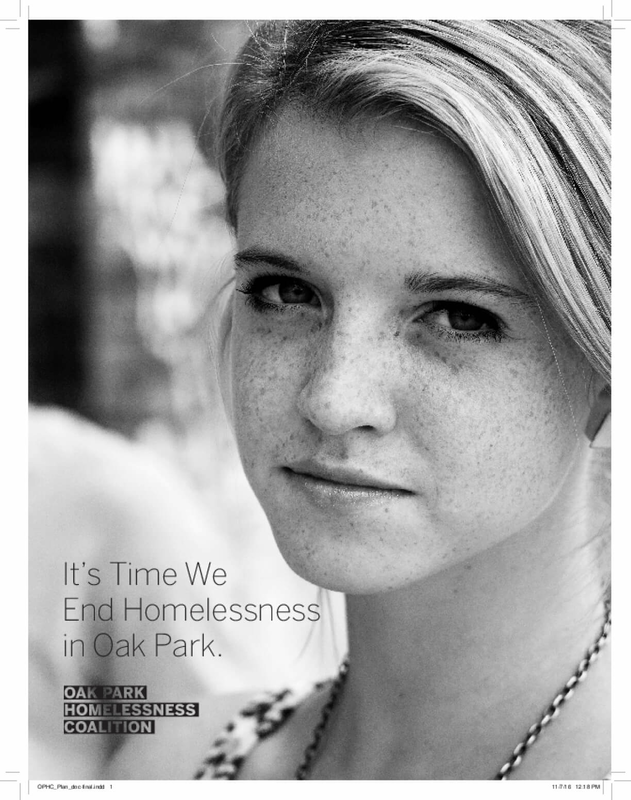 The Oak Park Homelessness Coalition is working to change that. Together, we can end homelessness in Oak Park. 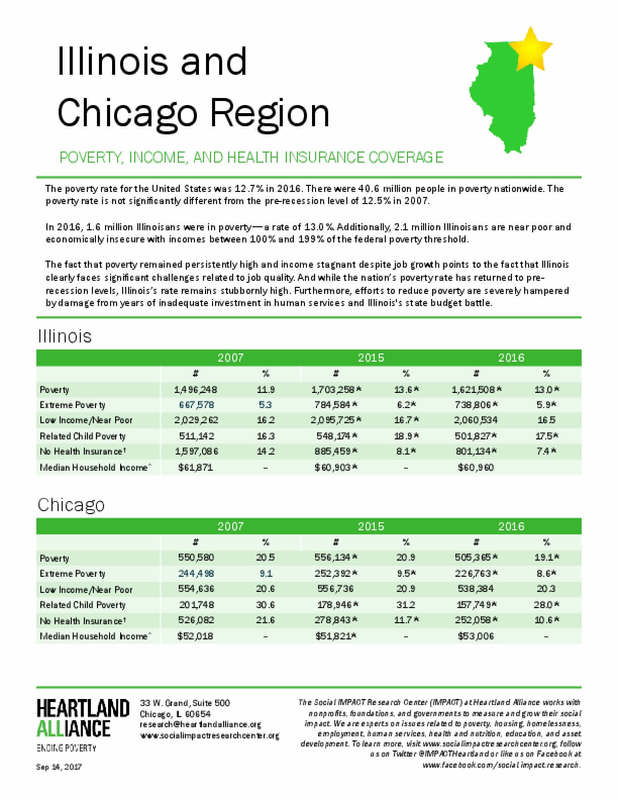 This factsheet provides a snapshot of the most recent census data on poverty, extreme poverty, low-income rates, child poverty, health insurance coverage, and median household income for Illinois, Chicago, and the 6-County region with and without Chicago. Temperatures in Chicago can reach dangerous levels in the summertime. 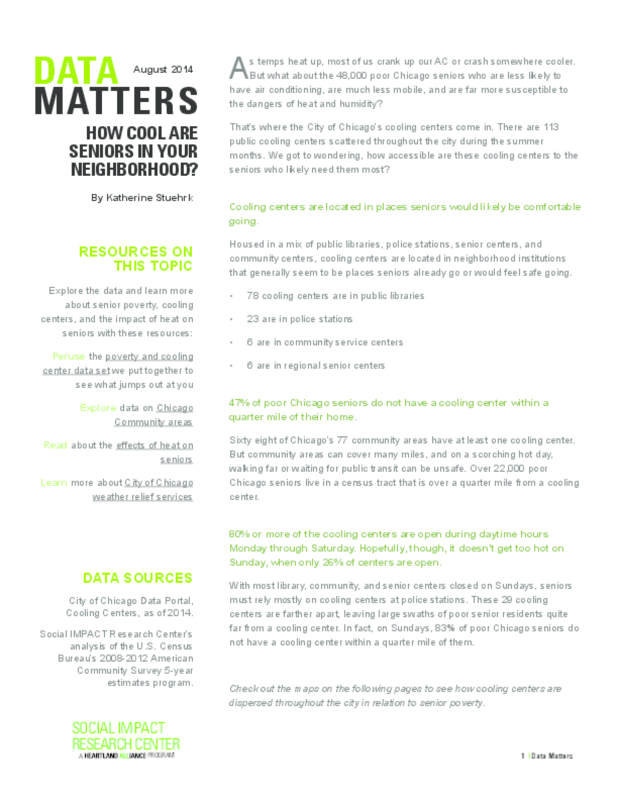 The Social IMPACT Research Center took a look at the availability of public cooling centers in relation to senior poverty rates throughout the city, to examine what the options are for poor seniors who may be more susceptible to the negative effects of severe heat.